A1’s first run, 1 month to go! Perhaps nothing illustrates the economic and cultural differences between Great Britain and Poland better than the £3 million plus project to build a brand new steam locomotive based on a LNER Peppercorn A1 pacific. In Poland, a steam locomotive requiring major boiler repairs will as likely as not be scavenged for spare parts and then discretely scrapped. In Great Britain, Tornado, the first mainline steam locomotive to be built there since 1960, will move for the first time under its own steam on the weekend 2-3 August. The project to build Tornado was launched in 1990. Supporters could donate just the monthly equivalent of the price of a pint of beer per week. In those days beer cost £1.25 a pint in North East England! Now, 18 years later, Tornado is almost ready. After a special steaming for its supporters the locomotive will be taken by road to the Great Central Railway for fine tuning and then main line certification for running at up to 145 km/h (90 mph). Tornado incorporates several changes from the original design, the biggest of which is an welded all steel boiler built in the Meiningen Locomotive Works, and incorporating some improvements that would likely have been made had steam locomotive operation and development continued in Great Britain. Tornado features all the necessary modern train control equipment to achieve certification for main line use. The A1 Steam Locomotive Trust have an excellent and very informative website. Yet none of the great pictures there really sum up the whole project. Then we found what we wanted in an article by Ernest W Adams, a fellow bloger who normally writes about computer games. His picture is superb. It shows the sheer size of the locomotive compared to the fitter. In the background is the Meiningen boiler waiting to be fitted to the frames, a component that some sceptics said couldn’t be built in the 21st century. In a month’s time the A1 Steam Locomotive Trust will prove the sceptics wrong and the British fleet of working express steam locomotives will have one new member! Wales online carries a report by Rhodri Clark of the Western Mail how the meaning of the phrase “high speed rail” is being devalued in the UK. ARRIVA Trains Wales is advertising for rolling stock for a “high speed rail service in Wales”. But the builders of France’s legendary Train à Grande Vitesse need not apply, because a “high speed” train in the Welsh context is not quite the same as the 186mph engines that routinely streak across France, Spain, Germany, Belgium, Italy and part of England. Because even though the service planned by ATW will cut up to 30 minutes off today’s journey between Holyhead and Cardiff, the average speed will still only hit a genteel 53mph. Many other areas of Europe have invested in new railways to cut journey times. In December a high-speed railway was opened in a mountainous area of southern Spain which depends heavily on seasonal tourism and is so deprived it qualified for Objective One funding. Non-stop high-speed trains take two hours 35 minutes from Madrid to Málaga, about 25% further than Cardiff to Holyhead via Wrexham. The Railway Gazette reports that On June 24 a CRH3 trainset from the Siemens Velaro family of high speed trains set a Chinese steel-wheel rail speed record of 394·3 km/h (245 mph). Leaving Beijing at 8:55, the train took 25 min 10 sec to cover the 118·3 km to Tianjin over the recently-completed high speed line, which is designed for 300 km/h (186 mph) running with provision for a future increase to 350 km/h. (217 mph) The train broke the previous speed record about 20 min after departure, and a new record 394·3 km/h was achieved on the return trip. CRH3 trainset The CRH3 ‘Hexie’ (harmony) trainset was built in Tangshan to the Velaro CN design from Siemens. PO-Correze Mallet was overhauled by the CFV and returned to service on the Vivarias in 2003. (Click for story. Translation available.) But can the the Vivarais Railway, which itself was closed down again in April 2008, be resurrected a second time? April 2008 was a bad month for European narrow gauge. Two weeks after the Mayor of Krosniewice closed the Krosniewice Railway in central Poland, we were shocked to hear of the closure of the Vivarais Railway in the Ardeche in France. Both railways are absolutely central to the railway heritage of each country. The Krosniewice Railway is a surviving fragment of a 1,500 km regional network of public and private narrow gauge railways that included the Kujawskie Koleje Dojazdowe lines and many hundreds of kilometres of narrow gauge private sugar beet railways. 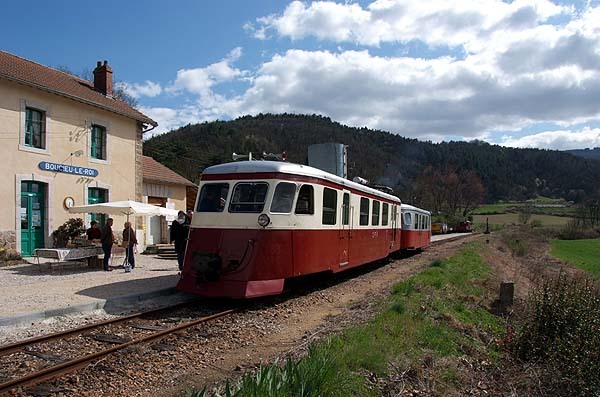 The Vivarais Railway, the flagship ‘preserved’ narrow gauge railway in France, is a wonderful example of the many narrow gauge light railways that once wended their way through rural France. Just like the Krosniewice Railway, the Vivarais is fighting back. A letter writing campaign has being organised, targeted at the chairman of the local authority, and a ‘buy a sleeper’ fighting fund appeal has been launched. BTWT is a campaigning blog, we don’t charge you for accessing our pages or bombard you with irritating ‘pop-up’ ads, but we do ask you from time to time to put pen to paper to defend railways in distress. If you have not already done so, why not write a similar letter to the President of the Ardeche Regional Council and the Mayor of Krosniewice and help rescue both railways? On 10 April, the Ardeche Regional Council, the majority shareholder of the Vivarais Railway took the decision to suspend the operation of the ‘Mastrou’. Following the closure of the CFD network in 1968, a handful of enthusiasts decided to rescue the 33 km section of line between Tournon and Lamastre. Without any outside assistance, we managed to save a unique heritage: 9 steam engines, and a hundred items of rolling stock. Over the years, we created one of France’s leading tourist railways. This museum railway also became one of the last bastions of steam in France and one of the last representatives of the light railways that once criss-crossed our country. In 1968, there was no statutory basis for a tourist railway. The Vivarais Railway had to purchase its rolling stock, track, stations… The CFV is today one of the few railways that also owns its infrastructure and its equipment, with sole responsibility for carrying out all maintenance and repairs. While the operation of the CFV generated a positive cash flow, our meagre profits only sufficed to pay for the routine maintenance of equipment. They were insufficient to cover some of the capital investment needed by 100 year old equipment and rolling stock and the increasing financial burden of more and more regulation. After operating without any assistance from government or local authorities for 35 years, the department of Ardeche became a shareholder of the CFV in 2004. However, this did not bring about any change to the operation of the ‘Mastrou’. Some investments were made, but these were mostly financed by loans secured on the on the capital of the railway company, thus creating an operating deficit. In any case these were insufficient to secure the railway’s future. While 7km of track were relaid, the steam locomotives are not in a state to start operating this season and the rolling stock is in urgent need of overhaul. For 40 years, volunteers of the SGVA association have bravely fought to keep the railway arrive. They cannot bear to see this magnificent museum railway disappear. It is, after all, the principal tourist attraction in the Ardeche attracting 60,000 visitors to the region each year. that the operation of trains and maintenance of locomotives and rolling stock is entrusted to a competent operating company. We now have reached the stage whereby only if we mobilize everybody (local elected officials, and railway enthusiasts) will we be able to rescue the ‘Mastrou’. It is still not too late. For BTWT readers who still remember their school French, the SGVA provide a model letter (pdf download) here. For those who haven’t yet written to the Mayor of Krosniewice with a copy to the Minister of Infrastructure, our whole Krosniewice file, complete with relevant addresses, can be read by clicking here. The 1960s were not a good time for Britain’s railways: hundreds of branch lines were abandoned; thousands of miles of railway were ripped up; many stations and goods yards were closed. The railway line running along the Worth Valley in West Yorkshire might have ended up as just another unofficial footpath, if not for the efforts of the local community. At the end of 1961, faced with the closure of their railway link to the outside world, the local people of the Worth Valley decided to take over the line and run it themselves. Within a year of the line closing, they called a meeting in the Temperance Hall in Keighley and set up the Keighley & Worth Valley Railway Preservation Society. It is perhaps a sign of how little support they received from officialdom that it took 6 years from that meeting to the running of the inaugural train. Despite the naysayers who poured scorn on the idea of unpaid volunteers running the railway, six years of fund-raising, campaigning, acquiring and restoring redundant equipment from all over the country succeeded in bringing the railway back to life. On Saturday 27 June 1968 the then Mayor of Keighley, Alderman J.H. Waterworth, despatched the Reopening Special from Keighley station to Oxenhope to be greeted by the Whitworth Vale and Healey Band playing the Top Ten hit of the day, Cliff Richard’s Congratulations. Now, more than five million passengers later, the Railway and its rescuers are celebrating 40 years of success. Today, the Keighly and Worth Valley Railway has a world wide reputation as one of Britain’s finest heritage railways. Not only does the K&WVR run steam hauled trains for tourists, the railway also runs a diesel hauled local community service, thus fulfilling a pledge made by the original promoters of the railway’s rescue. As publishers of a campaigning blog we are quite strongly focussed on maintaining the quantity and quality of our readership. Most of our growth comes from recommendations published on other sites. If a site is sending us significant traffic we like to acknowledge the fact and post a link back to that site. It is part of the culture that makes the blogsphere the exciting place it is. So we would like to apologise to Rob Dickinson, the publisher of International Working Steam, for the cavalier way that we have been taking major traffic from his site without any sort of acknowledgement whatsoever. We did get a trifle distracted trying to keep abreast of the latest developments at Wolsztyn. We would like to thank Rob for publishing two links to BTWT in connection with our Wolsztyn articles. We love his WWW pages. If you want to check on the latest news about steam train operations anywhere in the world International Working Steam is undoubtedly the best place to start. If you’ve come to BTWT via International Working Steam, then welcome aboard! Birmingham Railway Museum Trust is holding two open days at Tyseley Locomotive Works, in Birmingham, this weekend, on Saturday 28 June and Sunday 29 June, ‘ to celebrate 100 years of continuous operation as a locomotive depot’. A short account of the depot’s history can be found on the vintage trains website here. Among the attractions at the works will be a line-up of Great Western Railway steam engines; three GWR Castles, up to three GWR Halls, four GWR pannier tanks, a replica Puffing Billy, and freight train and turntable demonstrations. The London Midland Railway traction maintenance depot opposite will also be open on Saturday. Other planned events include the recommissioning of GWR Castle 5043 Earl of Mount Edgcumbe; the return of LMS Jubilee 45593 Kolhapur to Tyseley; and the launch of an appeal to restore Clun Castle – the vehicle which started the works’ steam train collection in January 1966. 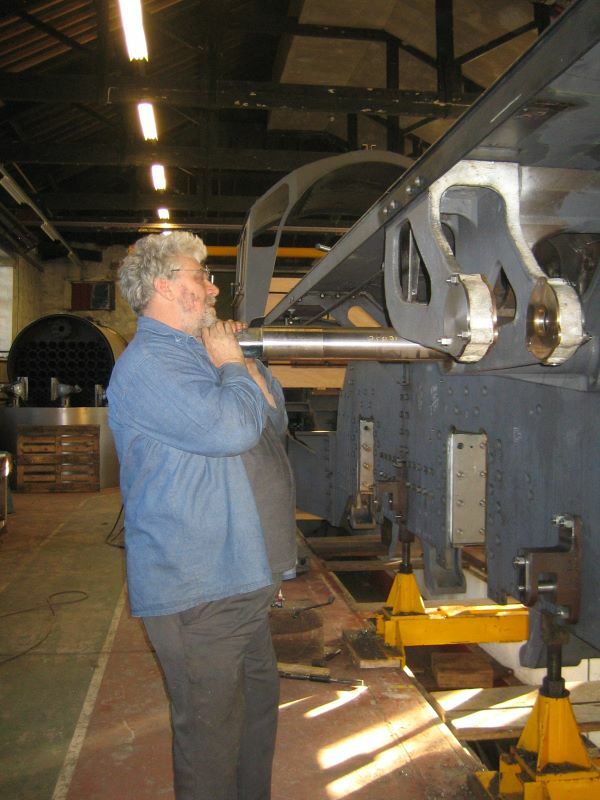 A former driver of 7029 Clun Castle will be giving talks on his life on the footplate. Full details of the weekend is given on a special section of the Shakespeare express website. Tyseley Locomotive works has restored a number of derelict steam ‘ex Barry’ steam locomotives, including: Rood Ashton Hall and Earl of Mount Edgcumbe. The picture of restored Rood Ashton Hall hauling a Shakespeare Express luxury train and Earl of Mount Edgcumbe in unrestored condition gives an indication as to the enormous amount of work that has to be put in to get an ‘ex Barry’ locomotive to mainline running order. Parking facilities at Tyseley are quite limited. If you are planning to go we suggest that you follow the organiser’s recommendations and travel by rail. Trains will be making additional stops at Tyseley during the weekend. Tyseley has two links, albeit rather indirect, with the railway heritage scene in Poland. In BR days in the early 60s it was the home of ex GWR small prairie 4555, one of the first ex BR engines to be privately preserved. 4555 is the same class of locomotive as Bill Parker’s 5521 currently at Wroclaw. Secondly, it services the steam locomotive that hauls the ‘Shakespeare Express‘ which runs twice every Sunday from 6 July to 14 September over Network Rail tracks. This is the nearest thing in Great Britain to the regular steam haulage of ordinary timetabled trains over part of the national railway network, which takes place in Poland daily, and which makes Wolsztyn so very special. but no one knows how many trains and for how long. In an ‘off the record’ briefing, an official in the Wielkopolska province’s transport department told BTWT that as a result of meetings that had taken place last week between Wielkopolska officials and the passenger railway operator PKP Przewozy Regionalne, steam haulage of timetabled passenger trains could restart as early as August and the full three train a day service (one to Leszno and two to Poznan) would resume on 1st October. The actual number of trains will depend on the price that PKP Cargo will ultimately demand for the provision of its steam engines and rolling stock. The price that has been quoted to Wielkopolska officials has risen from 15 PLN (about £4) to a horrendous 46 PLN (£11-50) per kilometre. Already a couple of UK-based railtour operators have complained that it is cheaper and easier to charter a steam train in Germany than it is in Poland. The official also confirmed fears that badly maintained steam engines could start forest fires and pointed out that not all passengers wanted to travel in old coaches hauled by steam engines emitting black smoke, particularly in summer where the only form of ‘air conditioning’ was to keep the windows wide open. Provided PKP Cargo plays ball, the arrangements now being put in place should keep steam haulage of scheduled services going until the end of 2008. As to the long-term future, that’s still anybody’s guess. One of BTWT’s reliable sources reports on a meeting that took place on 25 June between David Morgan, President of Fedecrail, and Juliusz Engelhardt, Under Secretary of State at the Ministry Of Infrastructure, responsible for Poland’s railways. Fedecrail is the European Federation of Museum and Tourist Railways and has been working with a number of Polish heritage railway organisations, as well as the British-Polish Railway and Industrial Heritage Partnership, to assist in the creation of a national umbrella body for the Polish heritage railway movement. In Great Britain, such an umbrella body, the Heritage Railway Association, has existed since the 1960s and Mr Morgan is also its chairman. Mr Morgan came to Poland to tell the Minister of Fedecrail’s concern about the closure of the Krosniewice Railway. At Fedecrail’s Annual General Meeting, which took place in Salzburg in April this year, a resolution (pdf file) was passed urging the Mayor of Krosniewice to reopen the railway. Mr Morgan also raised the matter of the imminent end of the steam haulage of ordinary scheduled trains at Wolsztyn and the prospect of the sale by tender and scrapping of much of Poland’s railway heritage. Mr Engelhardt, explained that it was his understanding that the Krosniewice Railway had been closed because of lack of cash. Although he could not offer financial support he could offer moral support to efforts to reopen the railway and help set up meetings with the local authorities. All BTWT activists who wrote a letter to Barbara Herman (the Mayor of Krosniewice who was responsible for closing the railway) and then copied their letter to Cezary Garbarczyk (Mr Engelhardt’s boss, the Minister of Infrastructure) can now give themselves a pat on the back. 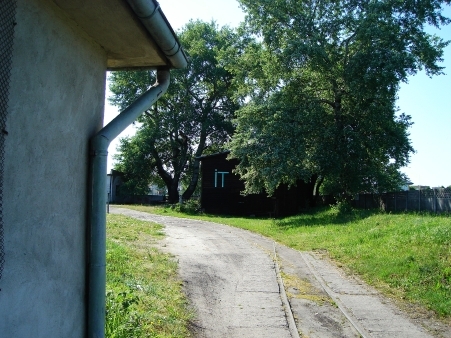 With respect to Wolsztyn, Mr Engelhardt said he recognised that Wolsztyn was now probably unique, not only in Europe, but also in the whole world. It would certainly continue as a steam shed servicing steam locomotives for special events like the Wolsztyn Steam Gala and for special trains. The only aspect over which there was a question mark was the continuation of steam-hauled ordinary service trains, because the operation of railbuses was much cheaper. This confirms our worst fears about the future of scheduled steam at Wolsztyn. We will be consulting all the key stakeholders, and then recommending what the best course of action is for BTWT activists. Mr Engelhardt concluded by saying that he had no knowledge of the sale by tender of railway heritage items to which Mr Morgan had referred and that his view was that items of Polish railway heritage should stay in Poland. Mr Morgan will be asking Polish railway societies to follow up in detail with the minister a number of the specific points that had been raised at the meeting. One of the problems of running a heritage railway is that while many railway enthusiasts can be enormously passionate about what colour their engines and carriages should be painted, but this enthusiasm becomes somewhat lukewarm when it comes to properly looking after their customers. One of our best experiences on a British heritage railway was on the Chosley and Walingford Railway simply because of the quality of conversation with which the volunteer station staff regailed their customers. Another memorable occasion occured during a visit to see that beautiful model of railways and 1930s rural England at Pendon Museum. Normally Pendon runs like a Swiss watch, but this time, due to an extended opening, the engines were beginning to run a little less sweetly because dirt had built up on the tracks. A model GWR 28xx 2-8-0 freight locomotive derailed its tender and became separated from its train. A member of our party managed to sound the alarm just before the locomotive pulled its off the rails tender through some complex and very delicate pointwork, with potentially catastrophic results. We were rewarded for our efforts by a most comprehensive detailed explanation of what went on ‘behind the scenes’ at Pendon with none of our questions left unanswered. We all had a wonderful time. But we don’t all visit railway locations just for the quality of the conversation. Mr and Mrs Colin Lea devised an 18 point scoring system in order to rate the North Wales narrow gauge railways that they visited on their holiday. It was interesting that using the Lea points system the Corris Railway came last. Yet they reported, Both staff and cafe scored very highly – very friendly people, a relaxed atmosphere and the best cup of tea we had all holiday. We do wonder how the Leas would score the heritage railway sites in Poland. Veteran readers of Behind The Water Tower will have been waiting with eager anticipation for the final question in our first competition, If you are new to BTWT, don’t worry, it’s still not to late to enter. You’ll find all the previous questions here. This month we would like you to tell us, on which narrow gauge railway can the above section of unused track be found? And for a bonus point, what is the long-term threat to this railway’s future? The prize for the first person to get all four questions right is a bottle of Bison Grass Vodka, Zubrowka. Answers, please to our usual address. After the rather sombre tone of our recent posts, here is a little light hearted fun, courtesy of the Daily Telegraph. There’s been a long-standing debate between the editor of W-wa Jeziorki blog and BTWT about what is the best way to travel long-distance in Europe – high speed train or take the plane. We maintain that travel by train is inherently superior. You can work on your laptop, read a book or engage the other travellers in conversation. Every time one travels by plane, one’s life is shortened by 6 weeks because of the stress and toxic fumes involved. In reply our friend Mike claims that plane travel is faster. When the Eurostar service was transferred to St Pancras and the shortest rail journey time from London to Paris was shortened to just 2 hours 15 minutes, the Daily Telegraph decided to put both modes of transport to the test. Two of its travel writers were sent out to race from Westminster to the Eiffel Tower. 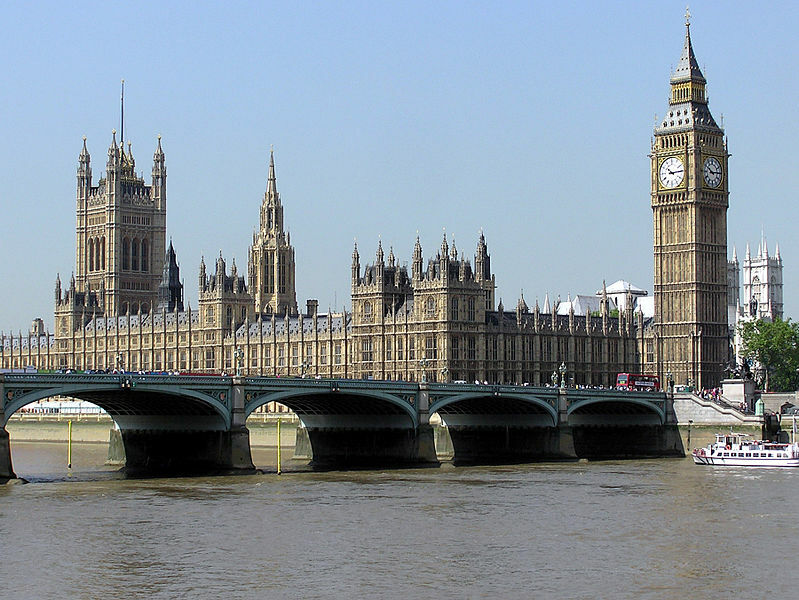 We meet in the morning in the slanting shadow of Big Ben. Not quite pistols at dawn. I don’t need a pistol. I have an aeroplane. How can I be anything but optimistic? I am taking the fastest mode of transport available to the travelling public. My flight, from Heathrow to Paris Charles de Gaulle, is scheduled to take a whisper more than an hour. Charles’s Eurostar journey takes two hours 15 minutes. Even taking into account the time it takes to get to the airport, check in, pass through security and do it all again at the other end, I’m bound to win. I own this race. It’s mine. Click here to read the rest of Francisca’s account of her journey. Our head-to-head begins under Big Ben. As we both set off from Parliament Square, the sun illuminates the clock’s golden hands. Today is all about time. I arrive at St Pancras by Tube, well ahead of schedule, which gives me a chance to marvel at the revamped station. It took 11 years for the architect Alastair Lansley to create what he calls “a deliberate essay in saying we’re going to be bigger and better than our rivals”. As shafts of blue light cascade down from the majestic roof of iron and glass, it seems worth the wait. I wander though the pillared concourse, but none of the shops and restaurants is open, there’s no sign of the farmers’ market we were promised and a few businessmen grumble that even the executive lounge is closed. But they are soon appeased by complimentary boxes of Champagne and chocolate by way of apology. A children’s choir on the concourse launches into My Favourite Things. Click here to read the rest of Charles’s account of his journey. Seen the video? If not click on the picture at the head of this article. I think that there’s no question as to which is the superior mode of transport. N’est-ce pas? Behind The Water Tower had the sad distinction of being the first English language web source to report the closure of the Vivarais in our post of 18 April. Now we reprint part of a longer article from International Steam Locomotives based on a report by James Waite which fills in many of the missing details. The metre gauge CF du Vivarais, long regarded as the doyen of French preserved railways, closed suddenly on Sunday 13th April 2008 for at least one year and possibly much longer. The railway had been struggling to maintain an effective service during the past few years. In 2007 Mallet 0-6-6-0T no. 414 maintained the steam service almost singlehanded. The railway’s other four 0-6-6-0T’s, all of which were built new for the railway, were all out of use as were its three other steam locos. No. 414 required major overhaul which started as soon as the 2007 season had ended. It has taken longer than expected and the 2008 season began on 21st March with all services being worked by railcar no. 213, the only available vehicle. From its rescue after the closure of the system in 1968 until 2003 the line had been run by the CFTM, an enthusiast society. It was handed over to a company in which the Conseil General de l’Ardèche, the regional government, has a majority stake on the basis that it would provide much needed funds to renew the permanent way and to upgrade the railway’s infrastructure. The Conseil General convened an emergency meeting last Thursday 10th April at which it decided to suspend services indefinitely, ostensibly on safety grounds. The last train ran the following Sunday 13th April. The need for major investment is clear for all to see. The SNCF has given notice to terminate from 2012 the railway’s use of the 2.5kms of mixed gauge track, the “tronc commun”, which lead to Tournon station and depot. Replacement facilities would be needed for which land has been acquired but no construction work has yet started. The Conseil General estimates that between 8 million and 10 million euros are required to put the permanent way back into first class condition, to refurbish the steam locos and to build the new station and depot. There is currently no commitment to provide any of this money. The railway has 15 employees whose work prospects are, at best, uncertain. The tourist industry in the region is heavily dependant on the railway which often ran trains as long as 10 coaches during the summer. The local press has described the closure as a catastrophe. 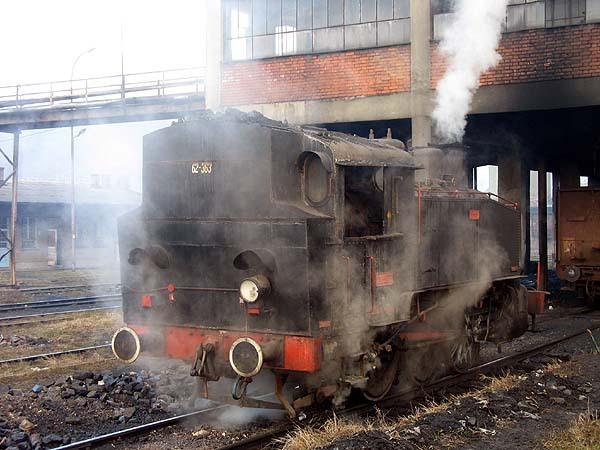 In Poland, when a Chabowka or Wolsztyn operational engine has a boiler which cannot be repaired, it is regarded to have reached the end of its operational life. If lucky it may become a pretty monument, if unlucky it will be canibalised for spares and then cut up. Anywhere else in Europe, when a good engine wears out boiler beyond safe or economical repair, a new boiler is constructed. The VVR railway in Switzerland are currently building a new boiler for their “Slask” shunter. Fundacja Era Parowozow in association with the Pomorskie Rail Enthusiasts Society, PTMKZ, is organising a vintage train ride targeted at all the family on 13 July 2008. The train will be hauled by a Wolsztyn-based Ol49 steam locomotive. The loco will pull 4 vintage passenger coaches and a luggage luggage van which will take carry bicycles. The train will start in Gdynia at 06.17 in the morning, pick up at Sopot and Gdansk (06:54) and arrive in Braniewo at 13:00. It will then leave Braniwo at 13:30 and after photostops and several chances to watch the local sailing regatta will return to Gdansk (21:09) and Gdynia (21:42). Tickets are 85 PLN; student tickets are 55 PLN; tickets for pre school children over 4 are 25 PLN; children under 4 travel free. All the details are on the Fundacja Era Parowozow website which is the only Polish railway website (not counting BTWT, of course!) that we know of that has a translation available in decent English. If you know of any others please let us know! A friend has died. We never met face to face, but used to chat by e-mail because our posts in another place often saw eye to eye. He liked steam and contributed the log of his voyage down the Thames in a small open steam boat to “If Not Duffers…” one of my early blogs. He sailed on the East Coast and was involved in the restoration of a much bigger steam boat, the herring drifter Lydia Eva, and invited me to visit the boat with him. Sadly, other things got in the way and my visit never took place. Today’s post about Sir John Betjeman is dedicated to the memory of Laurence Monkhouse. By some white weather-boarded mill. To cottage doors and hollyhocks. Had beanfeasts with my father’s firm. Which London near the Forest makes. To some forgotten country town. Sir John Betjeman not only wrote about railways in his poems, he also made TV programmes about them and campaigned actively to popularise Victorian architecture. Sadly his work came too late to save the old Euston Station, but the survival of St Pancras Station virtually intact and much of Liverpool Street Station owes a great deal to his influence. He also helped railway groups, such as the Swanage Railway Society, with their campaigns to save their local branch lines. Now if only we had a person of Sir John’s calibre in Poland to campaign about Polish railway heritage. 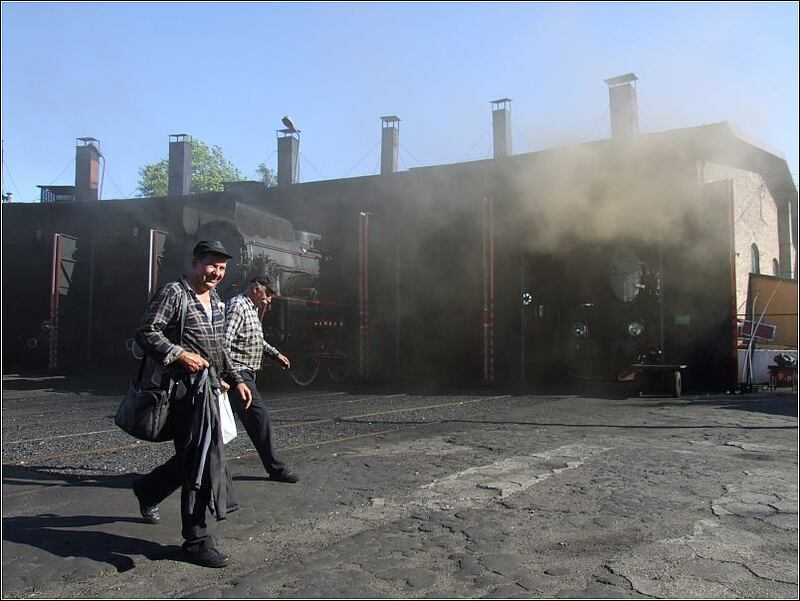 One of the problems faced by Polish heritage railways is a shortage of volunteers. Some railway managers argue that 50 years of communism have destroyed the volunteer ethos Others put forward the view that there is a shortage of youngsters. Yet others declare that they do attract youngsters, only to loose them when they get married. Our own view is that the problem is exacerbated by the fact that there are very few managers who know how to develop and nurture a volunteer work force. One exception is Andrzej Tajhert who has been successfully developing a young volunteer workforce on the 49 km long Rogow Narrow Gauge Railway in the Lodz province. The Rogow Railway is a museum railway. It does not transport ordinary passengers or freight, but what it does do is to recapture the atmosphere of the Polish narrow gauge railways at their zenith in the 1960s. Many items of historic rolling stock have been carefully restored and painted in their correct colours. In the case of some of the freight rolling stock this has meant replacing the original planking plank by plank, In the case of some of the passenger rolling stock it has meant gutting the inside and starting again. Much of the work has been done by young volunteers. It’s clear that Rogow’s volunteers enjoy their work. In return, they receive a number of special privileges and their efforts are recognized on the Rogow Railway website. The railway runs every Sunday from 27 April until 27 September. Trains depart from Rogow Osobowy Wask at 13.00 and run 17 km to Gluchow. Here there is an optional visit to the local church with the train guard acting as guide. On the return journey the train stops at Jezow where, provided you’ve remembered to bring your own garlic sausage and beer, you can enjoy a traditional Polish bonfire. Once a year trains run all the way to Biala Rawska in connection with the “Dni Rawy” festival at the end of May. Sadly, Rogow’s two Px48 steam locomotives both need extensive rebuilding before they could run again and the tourist trains are diesel hauled. Rogow is a friendly railway which is easily accessible by train. It is no too far away from Warsaw and even closer to Lodz. If you are in Poland and you have not been to Rogow, do check it out for yourself as soon as possible. It gives me a warm glow inside to be able to report that Tom Harris’s team at the Department for Transport are working at “full steam ahead” to urgently adapt UK transport policy to take into account the effect of sky rocketing oil prices and accelerated global warming. To ask the Secretary of State for Transport when she expects to produce for the railways a specification for the control period from 2014 to 2019. The High Level Output Specification for the railway for the years 2014-19 is due to be published in 2012, as part of a long term transport plan. …will Poland and the UK follow? In a great editorial, the Salt Lake Tribune reports on USA Congress and Senate support for a $15 billion bill to revive the nation’s ailing neglected railway system. The bill also instructs the Federal Department of Transportation to move ahead with a high speed railway between New York and Washington. Will the governments of Poland and the UK, who have treated their railways as their transport Cinderallas, follow suite? Cobbled from the remnants of the nation’s private passenger rail systems in 1971, the long-suffering Amtrak is racking up record numbers of riders as soaring air fares and gas prices drive motorists back to the rails, particularly in high-density inter-city corridors. A record 25.8 million passengers boarded Amtrak trains in the past fiscal year, and the national rail carrier has heralded its best May ever, with ridership up 12 percent and revenue up 16 percent over the same month last year. Success has not gone unnoticed. The nation’s growing appetite for passenger rail service, coupled with a growing environmental awareness, has encouraged Congress to set Amtrak’s table for the next five years. In a veto-proof 311-104 vote last week that mimics a Senate decision late last year, the U.S. House wisely pumped $15 billion into the national rail system, allowing for capital improvements and providing operating funds for the heavily-subsidized service through fiscal year 2013. While cross-country service will continue – Amtrak serves 500 destinations in 46 states – the House turned a switch and sent passenger rail service barrelling in new directions. The bill provides about $500 million in each of the next five years for grants to allow states to contract with Amtrak to expand or establish rail service between cities. It also instructs the federal Department of Transportation to seek proposals from private firms to establish rapid rail service between New York City and Washington, the nation’s first foray into high-speed rail. While Amtrak may never achieve profitability – worldwide, nearly all passenger rail systems require government subsidies – Congress has made a worthwhile investment. Energy-efficient passenger rail service reduces gridlock on highways and taxiways, cuts pollution, combats global warming and helps reduce our dependence on foreign oil. And the introduction of high-speed service could help launch a renaissance in domestic rail travel. For reasons that go far beyond nostalgia, passenger rail service must become an increasingly significant part of our transportation mix.